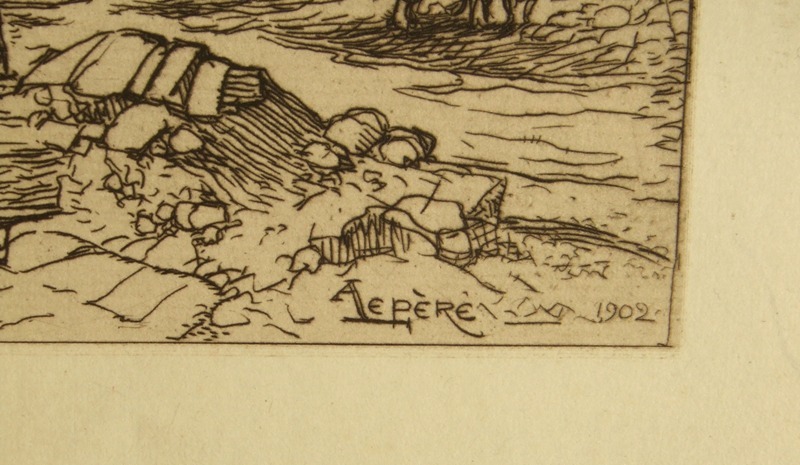 Auguste Lepère; 1849-1918, printmaker, painter, illustrator, ceramist, and teacher, was born to the sculptor François Lepère, in Paris. 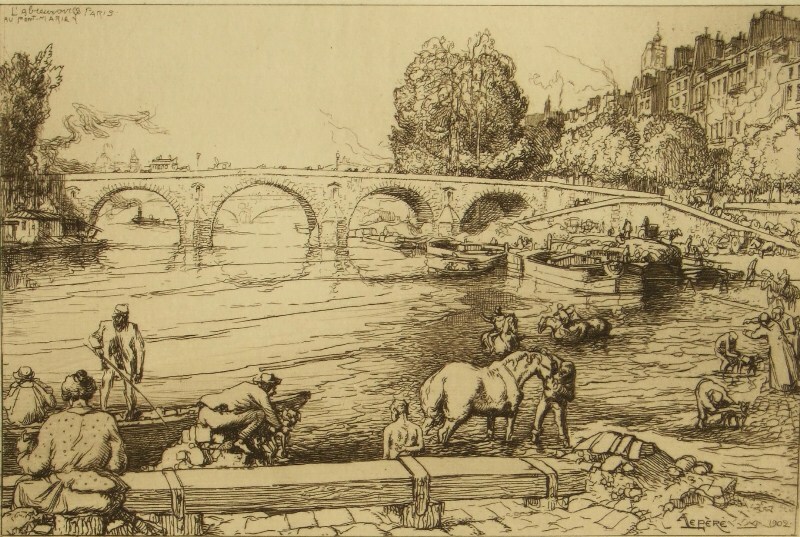 He was apprenticed at the age of thirteen to the English wood engraver Joseph Burn Smeeton who established his studio in Paris. 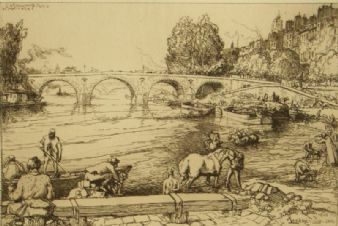 Lepère desired foremost to be a painter and submitted his paintings to the annual Salons but he worked for thirty years as an illustrator, earning his livelihood producing woodengraving illustrations for L'Art, Monde illustré, La Revue illustrée and L'Illustration. 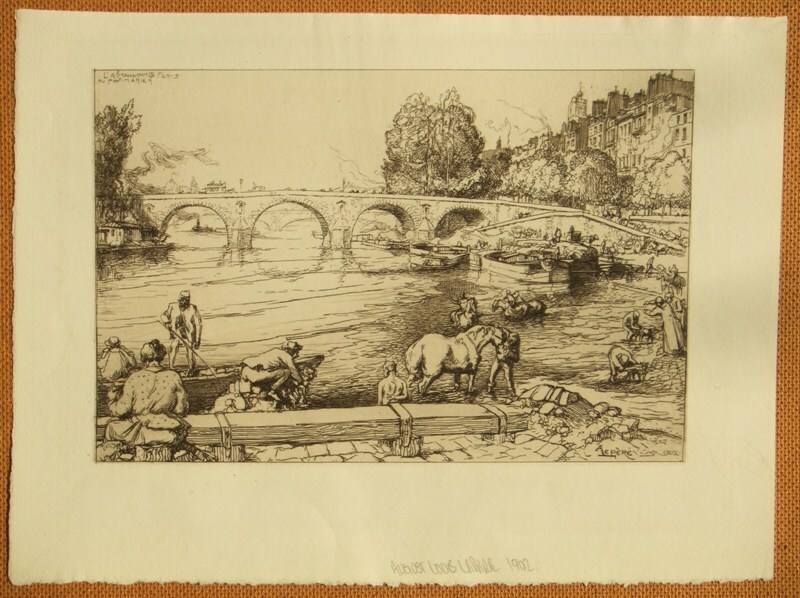 An excellent etching which is bright and unfaded, in brown ink, with raised intaglio ink lines, and a fine wiping of the inked plate resulting in a beautiful plate tone. The image size measuring approximately 23 cms. x 13 cms. (9 x 5 ins.) 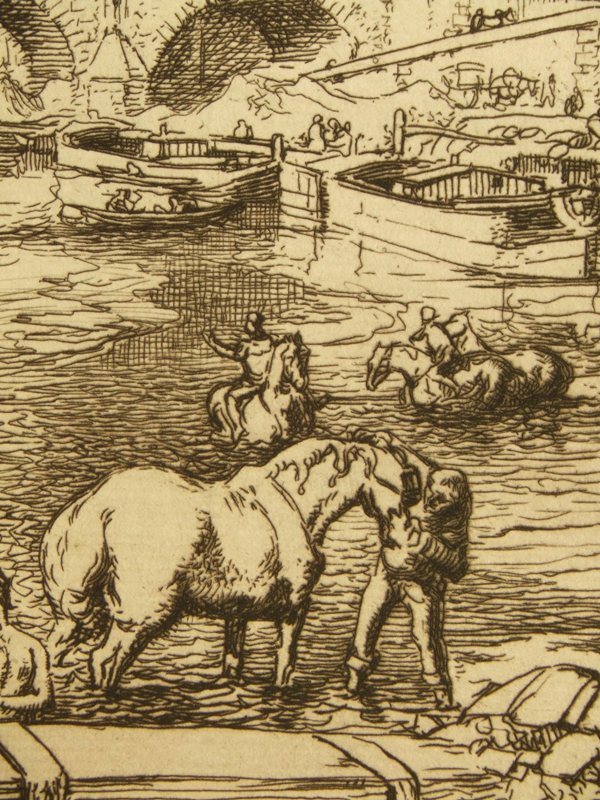 within a fine but evident platemark and impression, on a laid paper sheet size of 30 cms. x 15 cms. (12 x 6 ins.) with arches watermark and deckle edges. 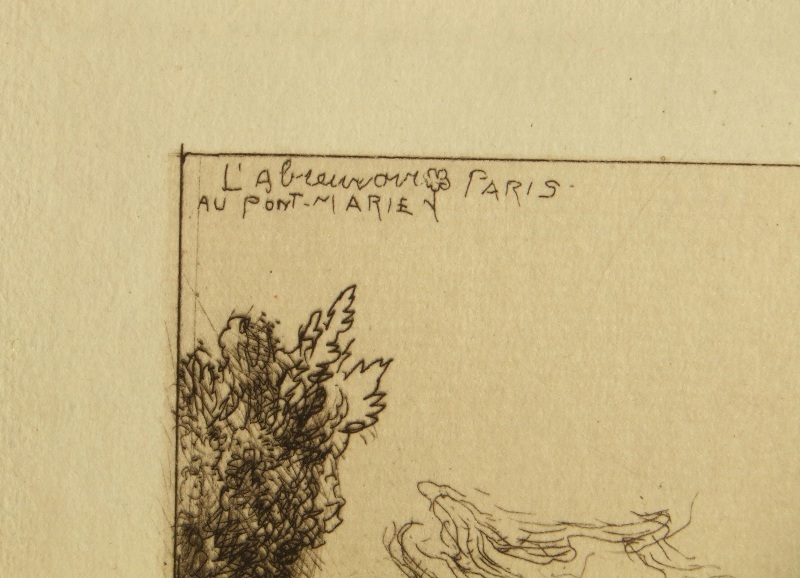 The sheet is signed by the artist, titled and dated in the image. Unmounted and unframed, blank on the reverse, the condition of the image and sheet is very good with handling marks condusive with age.